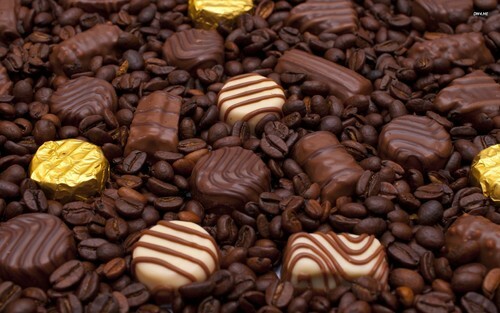 Chocolate and Coffee. . HD Wallpaper and background images in the Chocolate club tagged: photo chocolate sweet coffee. This Chocolate wallpaper contains pinto bean, peanut, and almond. There might also be hazelnut, filbert, cobnut, cob, pecan, cowpea, and black eyed pea.